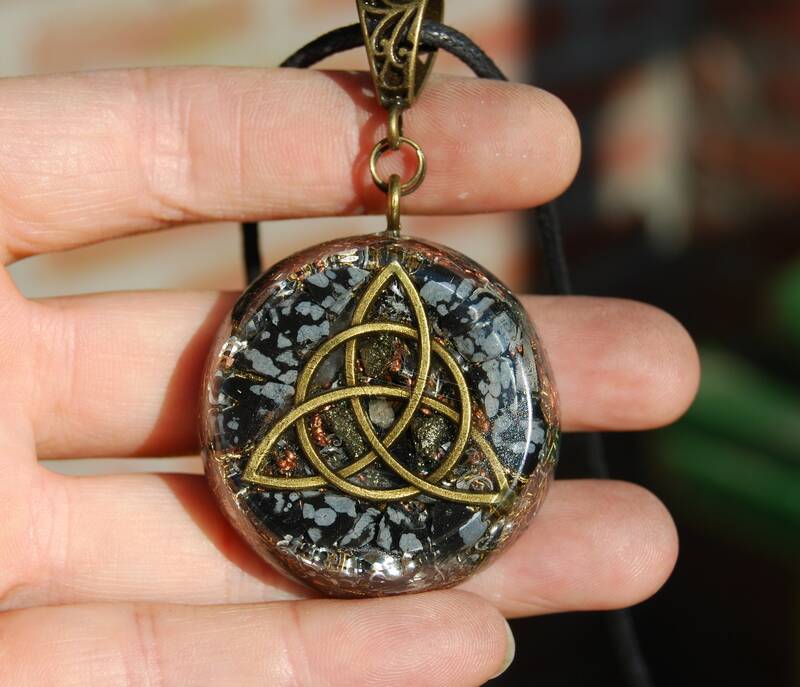 This lovely 4 cm / 1.6" in diameter orgone pendant contains brass, aluminum and copper shavings. 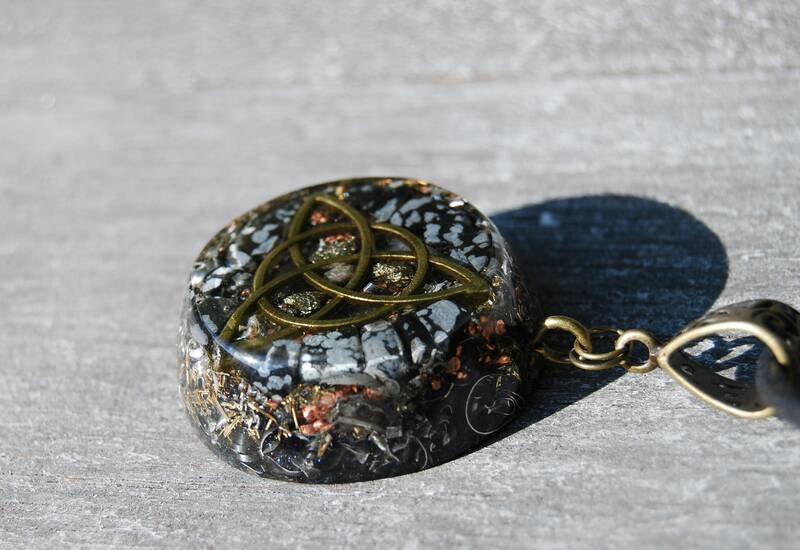 The main stone is snowflake Obsidian (front). 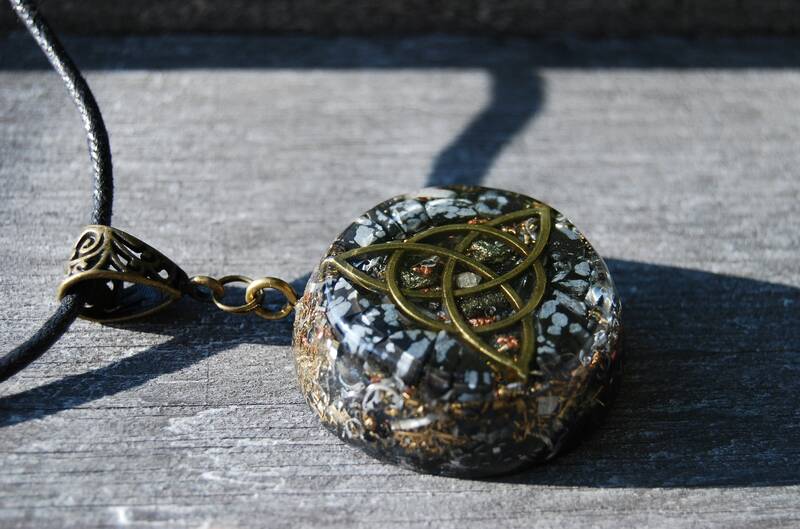 It futhermore contains Pyrite (front - to enhance), Rhodizite crystals (to amplify the other crystals), Rose Quarz (self love), black Tourmaline (to ground and protect), Selenite (to charge and clean) and clear Quartz all within a durable resin setting. 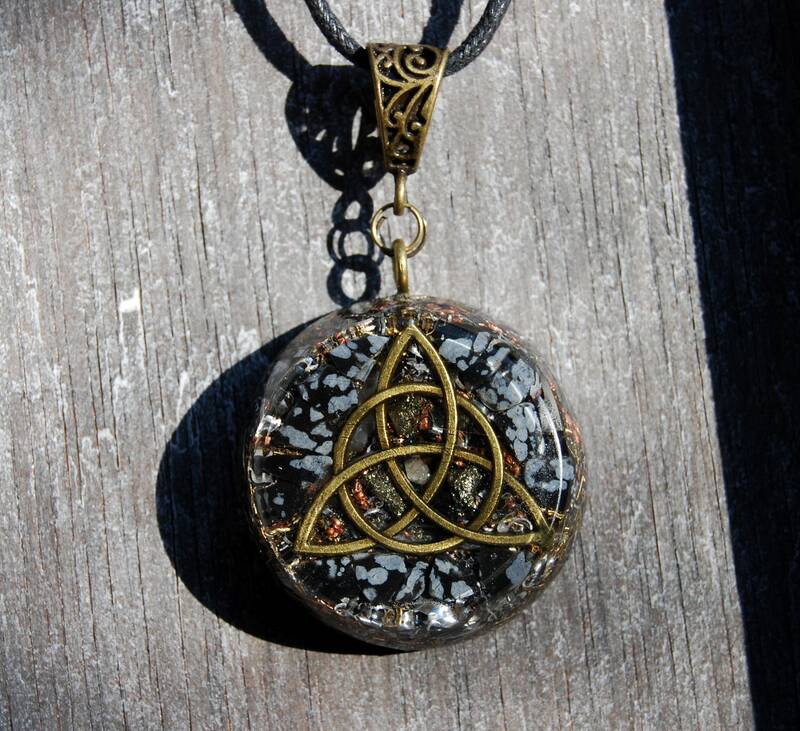 In the front is a metal Triquetra. The Triquetra is constructed of one continuous line interweaving around itself symbolising no beginning or end, an eternal spiritual life. It has lots of metal shavings which is required for the orgonite® to properly work according to William Reich's research. 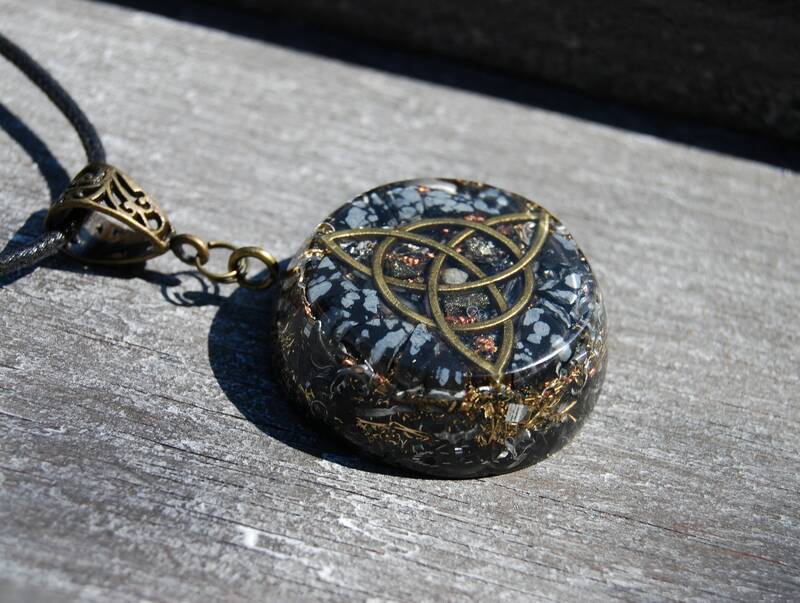 This is a stone that has always been associated with guardian spirits that watch over us, and is connected to protection on all levels. Snowflake Obsidian aids in clearer and more logical thinking. Carry this stone to keep others from taking advantage. This stone will reveal what needs to be changed in life to assist one in advancing. Snowflake Obsidian encourages inner reflection making us aware of negative patterns of thought and unhealthy patterns of behavior and giving us the chance to change them. 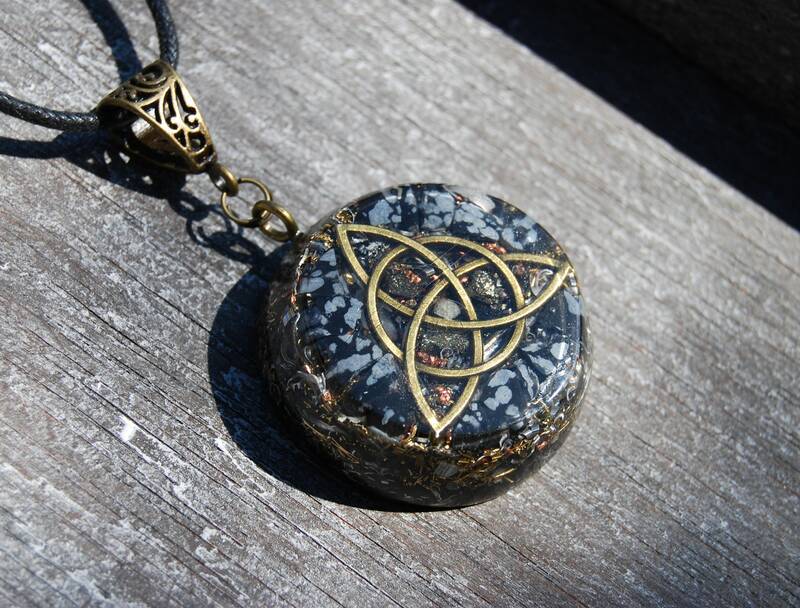 It is also believed to help shield the wearer from negativity and grief. 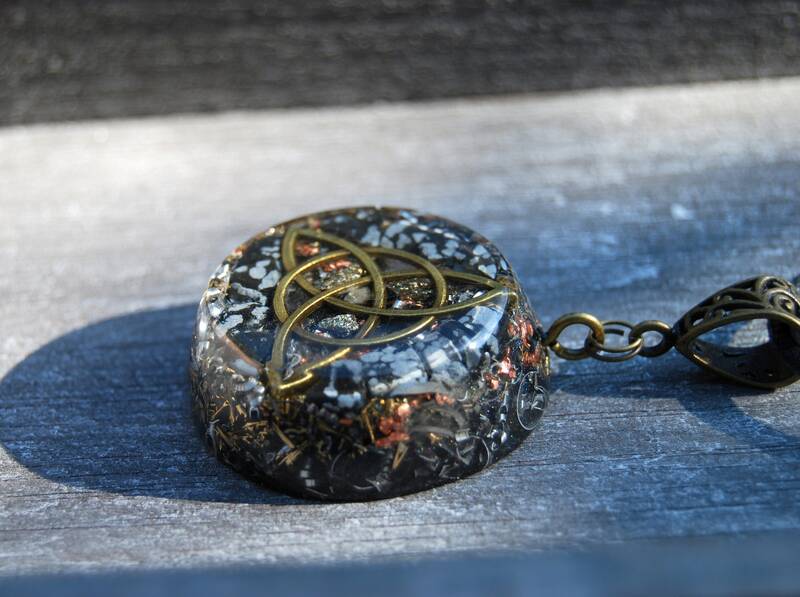 When you are feeling hopeless, snowflake obsidian can help you regain your courage to persevere, and help you see opportunities you may have overlooked to improve your situation.